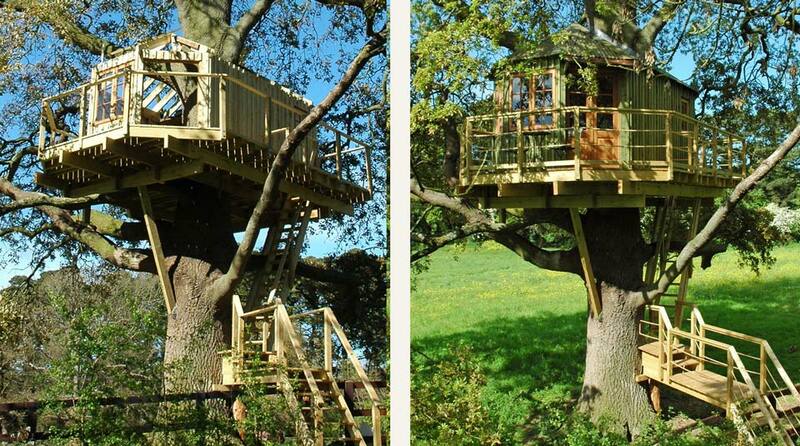 This bespoke adults’ treehouse was designed and built by Forest Wild within the canopy of a mature oak tree. 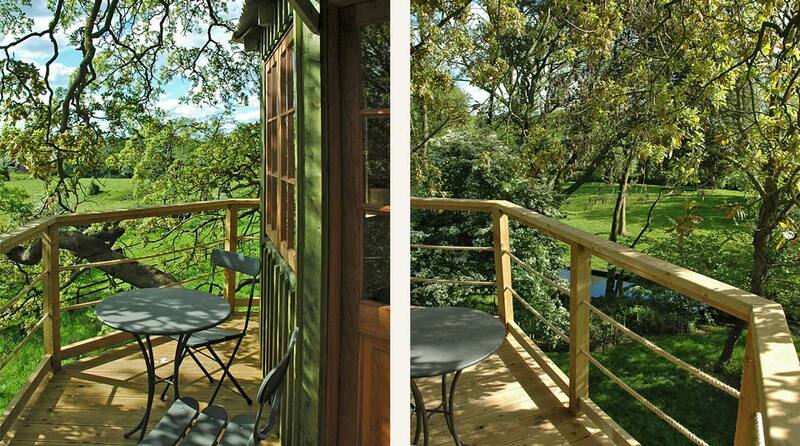 The treehouse offers a tranquil and versatile recreation and living space, and its wrap-around deck makes maximum use of both the morning and evening light while providing views over the client’s much beloved River Dee. 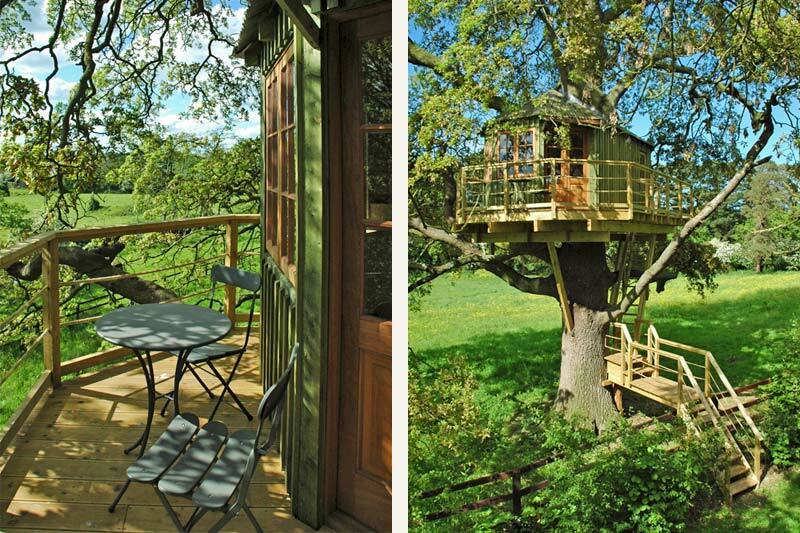 With its rustic finish to the exterior and snug interior, this off grid treehouse blends comfortably with the landscape and provides a unique refuge to escape the everyday stresses of modern living. 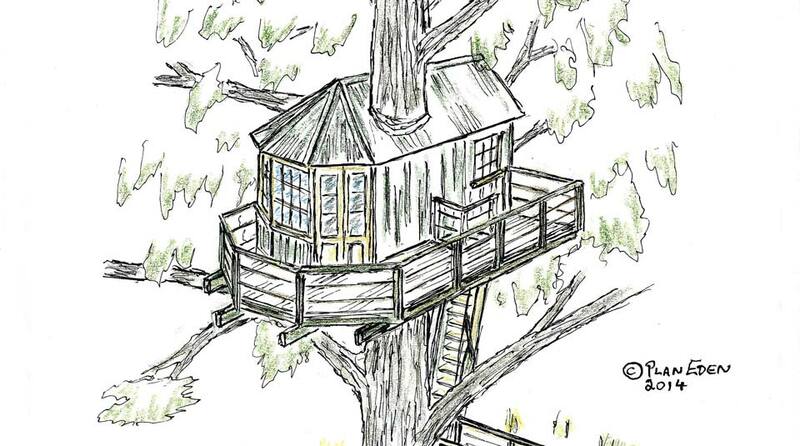 The client wished for an off grid but comfortable hideaway retreat so Forest Wild Treehouses located, designed and built this adult treehouse within the canopy of a mature oak. 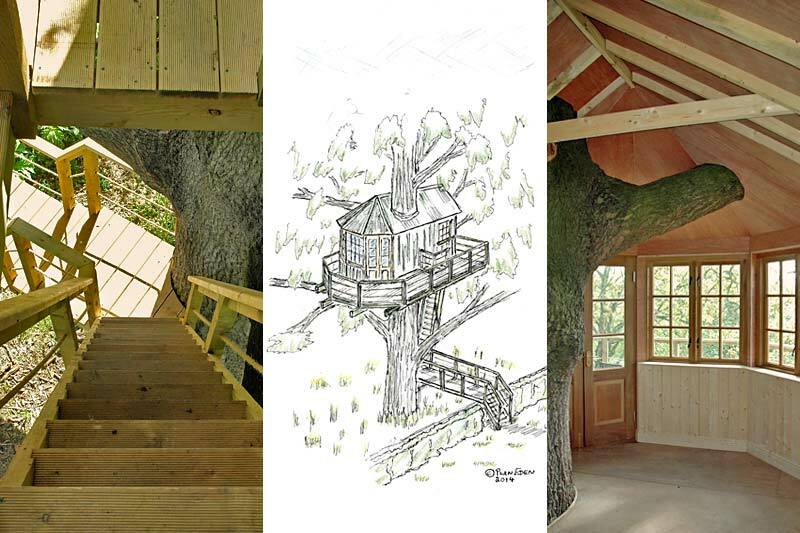 The main trunk passes through the interior of the treehouse, giving the interior great character and a strong sense of place, while east and south facing windows catch maximum daylight. 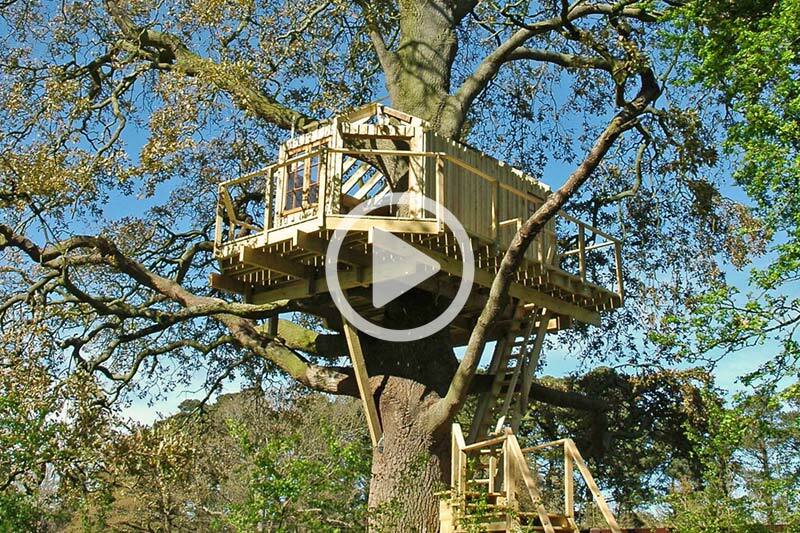 Comfortable access and a generous sundeck were just two of the many features incorporated into the design of this custom built adult treehouse. 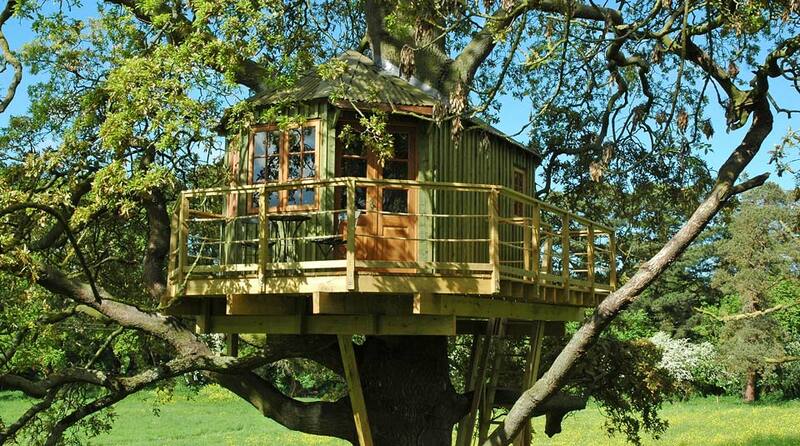 While with its soft green corrugated tin roof and rustic treated lath & board wall panelling the treehouse blends comfortably into the County Louth landscape.